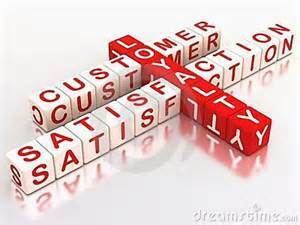 We often hear talk about satisfied customers when we are considering customer service. Customer service is a relatively new concept to Christian schools so it may be helpful to consider what other businesses look at when they work on customer service and satisfaction. Though many of the techniques and motives that schools use are different from other businesses, the main goal is pretty similar—retained customers and reduced per student marketing costs. Every student we retain is less costly than finding a new one and in limited markets this becomes even more important. How well does satisfaction predict retention? Again, this has been an ongoing debate in marketing for some time—and the consensus is not very well. We know that loyalty is hard to predict. We also know that customers tend to stay with a product until there is some failure to meet a minimum threshold. Knowing this, it became popular to talk about customer “delight.” Obviously, if satisfaction doesn’t predict retention, the thinking goes, let’s focus on delighting them! While it’s hard to argue with the reasoning of not just meeting a minimum performance but rather to excel, it still does not get at the need of how the levels of “delight” can be measured or translated into predictable tools for retention. It turns out that most respondents to customer satisfaction marketing research report overall satisfaction right up until the point they are no longer customers. A key measurement to overall loyalty is recommending behavior. The extent to which customers are willing to recommend a product is the best measurement of the underlying level of loyalty that will result in retained customers. In fact, it’s not really important if they actually end up recommending—just that they say they will. Of course, actual recommending behavior has other great measurement advantages for Christian schools, but for the sake of predicting how loyal our customers are, just their intent to recommend captures this sentiment and, in turn, likely future retention. When it comes to tools that are right for measuring this among our school families, a good approach is creating a score that can be tracked—such as a Net Promoter Score or some similar index. It’s simplicity is its strength—we are talking about one question. On a 10-point scale, find out how likely your customers say they are to recommend. You will end up with promoters (9 and 10 only), detractors (0-2) and neutrals (in between). Obviously we want promoters. Anything we can do to move more people into that group, the better—because research tells us that they are the ones who do end up recommending. In a market where personal recommendations and word of mouth is so important, this group becomes critical. But there are also things that can be done with the other two groups – strategies will vary by group. What it takes to move someone out of the negative category will be very different from what it takes to create a promoter out of a neutral customer. The negative customer typically has had some identifiably bad experience. While the neutral more likely just hasn’t had a “delighted” experience. This is where strategic thinking around the research comes in—trying to both fix problems for some and create memorable positive experiences for others. It is not that we don’t want to give detractors positive experiences, but a positive experience for a detractor will not have the benefit we are looking for because a continued problem exists or they won’t let go of a bad experience. As Christians, these things take on added relevance. As a Christian school we have added motives to treat customers well and to view them differently than the world. This is just one tool that exists to help us measure how well we are doing at that. How well do you know your school families from a customer satisfaction perspective? And how well are you able to track this?